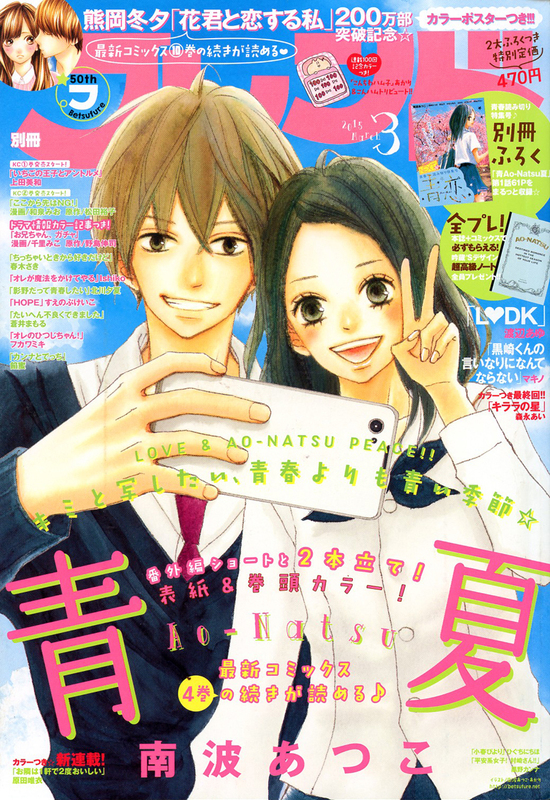 “Ao-Natsu” is on the cover of Bessatsu Friend this month. 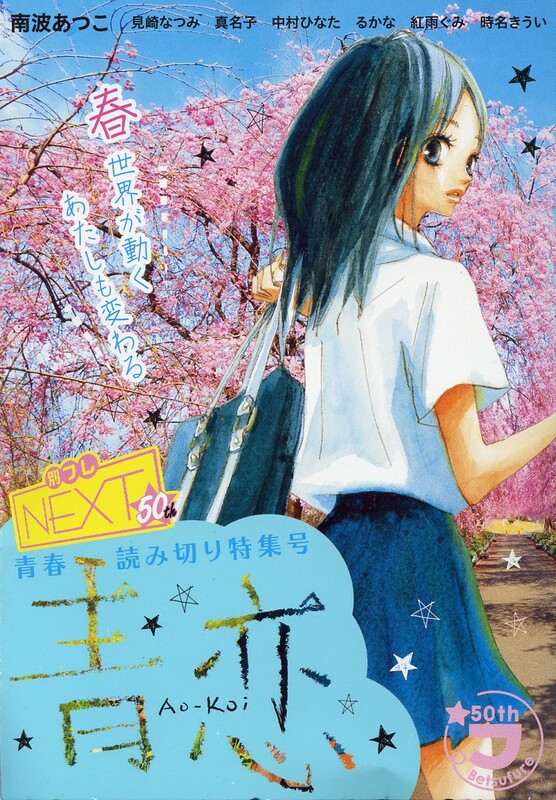 The furoko is a collection of “Seishun” (“Youth”) oneshots called “Ao-Koi” (“Blue-Love”). It contains 7 stories. 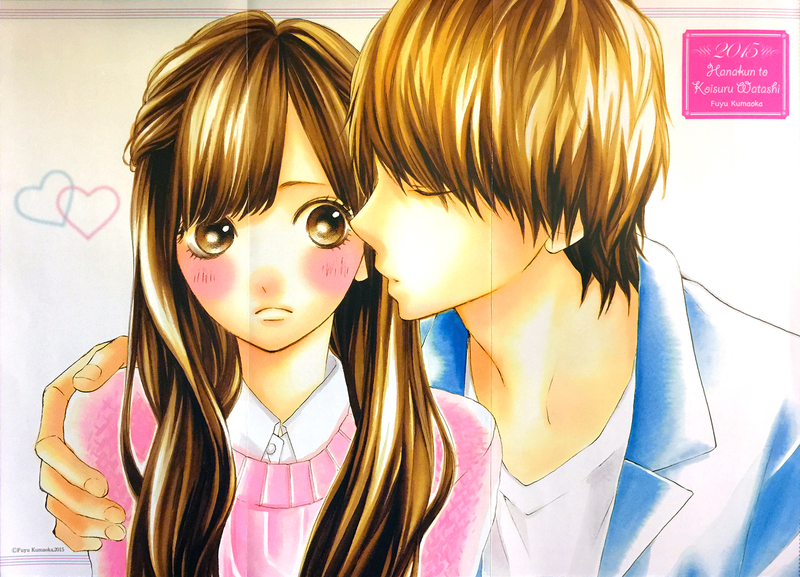 There was also a lovely “Hana-kun to Koisure Watashi” poster. I’m sorry for the crappy photo; the poster was too big from my scanner so I took a photo with my phone. 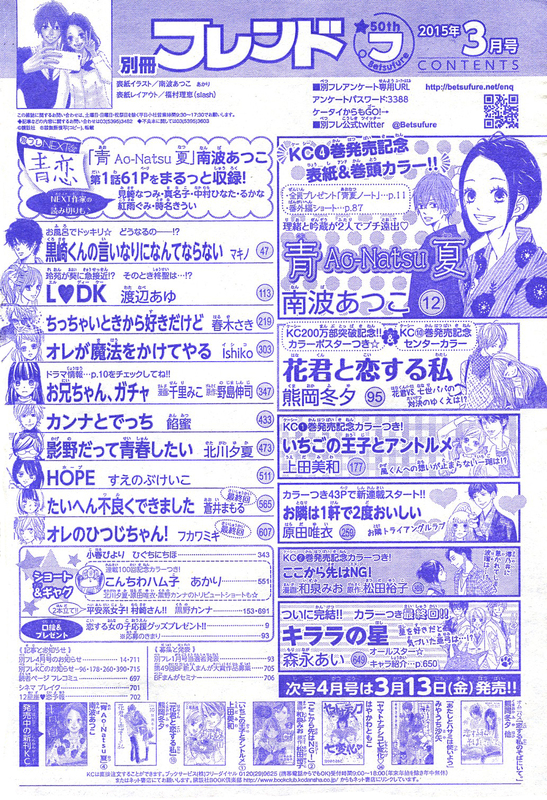 Here’s the index page with a listing of the contents of this issue. Here are some of the frontis pages from some of the other series in this issue. 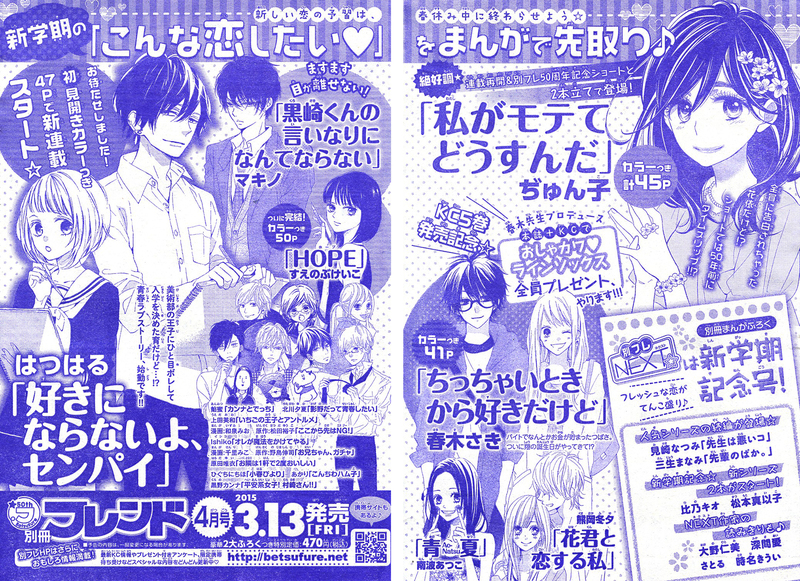 Here are the previews for the next issue.